I’ve been flying Yuneec’s Q500 Typhoon 4K quadcopter for several months. It is the total package from what you want and expect from a drone for the serious consumer. I’m a huge fan and all-aboard the Yuneec train. 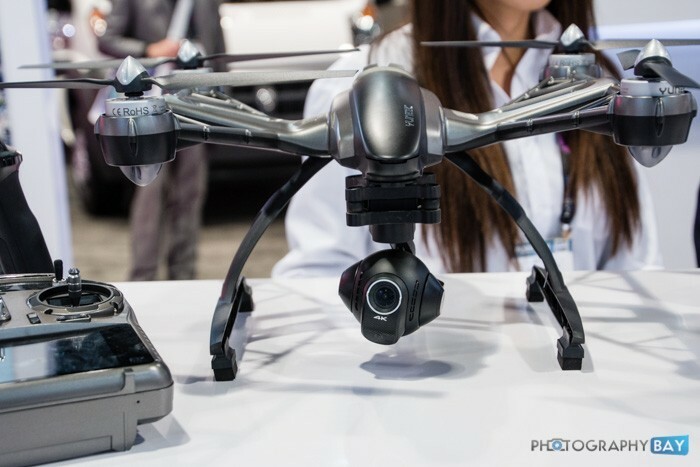 I was introduced to Yuneec in April 2015 at NAB and got the chance to try out the Q500 series last fall. 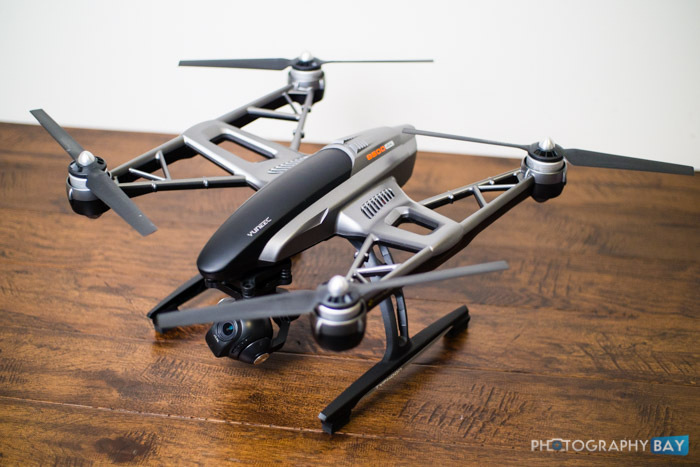 This review is long overdue but the recent price drops across the Typhoon line make them more attractive than ever and have nudged me to spread the word about this great little drone. It looks like Yuneec’s quadcopters have taken a significant price drop in addition to the recent drops we saw on DJI Phantom 3 drone prices. The Yuneec Q500 4K Typhoon is now $999.99 (was $1299.99) and comes complete with the SteadyGrip handheld gimbal and aluminum carry case. The Yuneec Q500+ Typhoon 1080/60p model is now $699.99 (was $1099.99). It also ships with the SteadyGrip handheld gimbal and aluminum case. 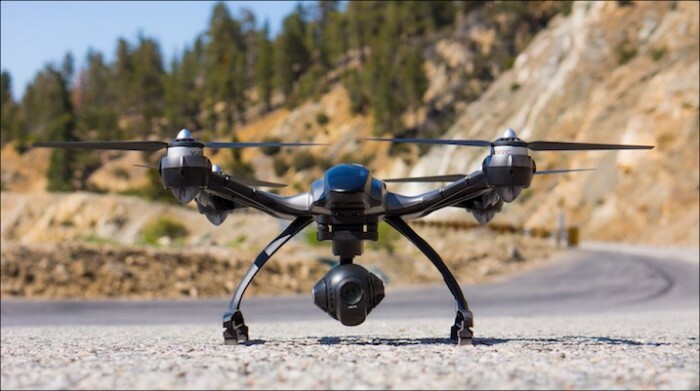 The Yuneec Typhoon G with the GoPro Gimbal is down to $499.99 (was $899.99). I’m not sure if these are permanent or will expire soon. I’m a big fan of the Yuneec drones because of the added value you get with the full kit over what DJI offers. I’ve had a Q500 4K on deck for review for a while now and really have nothing but praise for it. I’ll get around to that review soon hopefully, but in the mean time, these are some solid deals on great drones. 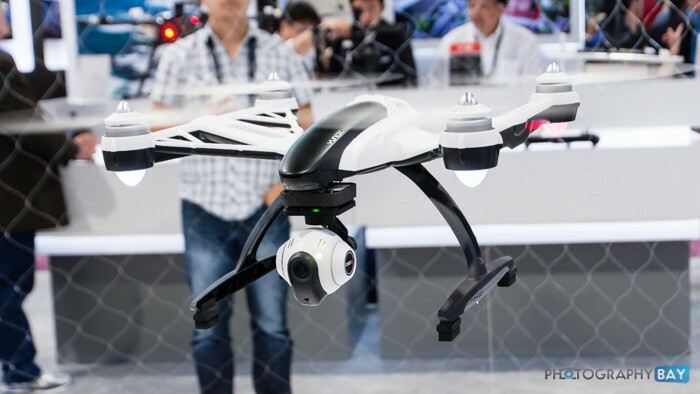 We saw the Yuneec Typhoon Q500 4K quadcopter teased back at NAB 2015 and now it has officially launched with units expected to start shipping over the next few days.